Minnesota Gov. Tim Walz on Tuesday announced Tarek Tomes, the former chief innovation officer for the city of St. Paul, as the state’s new technology commissioner. Tomes’ appointment comes three months after the departure of Johanna Clyborne, the state’s CIO under Walz’s predecessor, Mark Dayton. 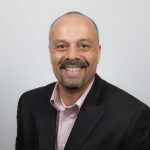 The state’s chief technology officer, Bill Poirier, has been serving as interim CIO since Clyborne’s appointment expired. Tomes, who will start April 29, spent the bulk of his 25-year career in IT with British Telecom. From 2008 to 2014, he worked at the Minnesota Office of Enterprise Technology, which has since been reorganized as Minnesota IT Services, or MNIT. In recent years, the agency has become synonymous with the repeated failures of the Minnesota Licensing and Registration System, or MNLARS, a driver’s licensing and vehicle registration system that has cost the state more than $100 million to develop. An audit of MNLARS published in January revealed that the system had been in trouble for more than a decade, spanning three gubernatorial administrations and several CIOs. Tomes pointed both to MNLARS’ failures and the improvements that have been made to the system since its 2017 launch as opportunities for the state’s future IT projects. Walz said around the time of his inauguration that MNLARS, which has driven some Republican lawmakers to call for MNIT’s dissolution, “keeps me up at night.” The state has yet to identify a long-term solution for MNLARS’ repairs, though Walz said at the press conference that the system has been “stabilized.” Despite the obvious difficulties the position brings, Tomes said taking the role was an easy choice. An independent report on MNLARS is due to state officials by May 1. When asked whether the state would consider hiring an outside contractor to take control of the system, Walz said he and Tomes plan to make a decision after reading the upcoming report.